I love my Really Yellow Iris. Its bright hue makes me happy. 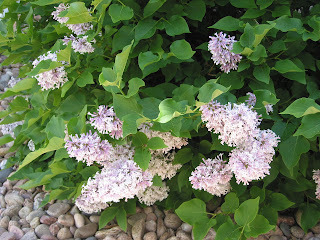 And I also love my lilac, which is doing really well considering I planted it on the North side of the house. Its sweet scent also makes me happy. 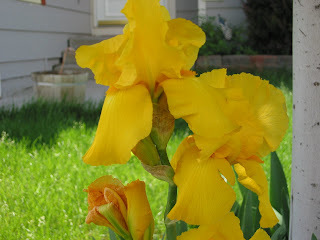 Ooo, yellow iris'! I have some yellow ones, but they're not that yellow. Lilacs have been done here for a while...I already miss the smell. My lilac that smells the strongest has been done for awhile. But the peonies are blooming!